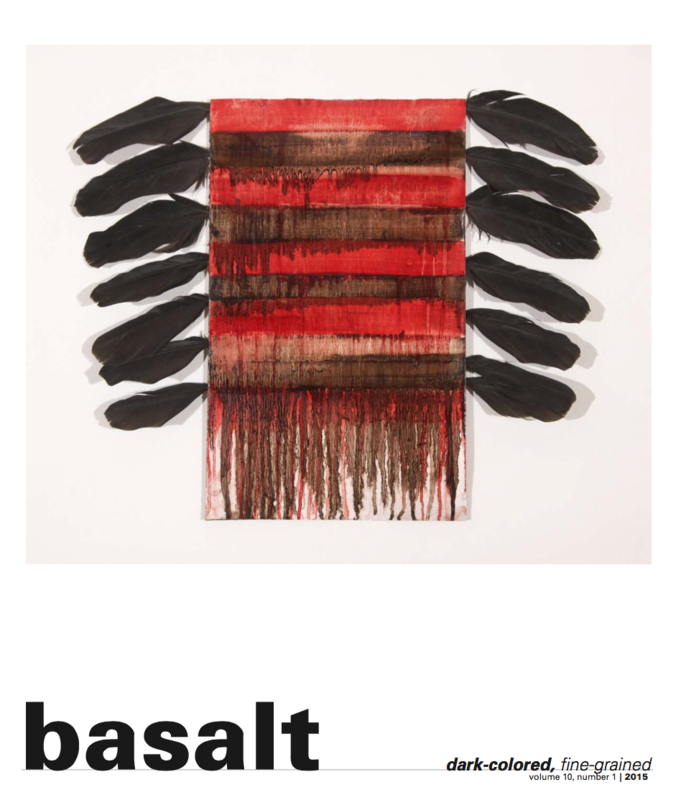 The current issue of basalt features new poems by Peter Everwine, Danielle Duelin, Chris Dombrowski, Jennifer Boyden, Ed Skoog, Henrietta Goodman, and Geffery Davis, among many others. 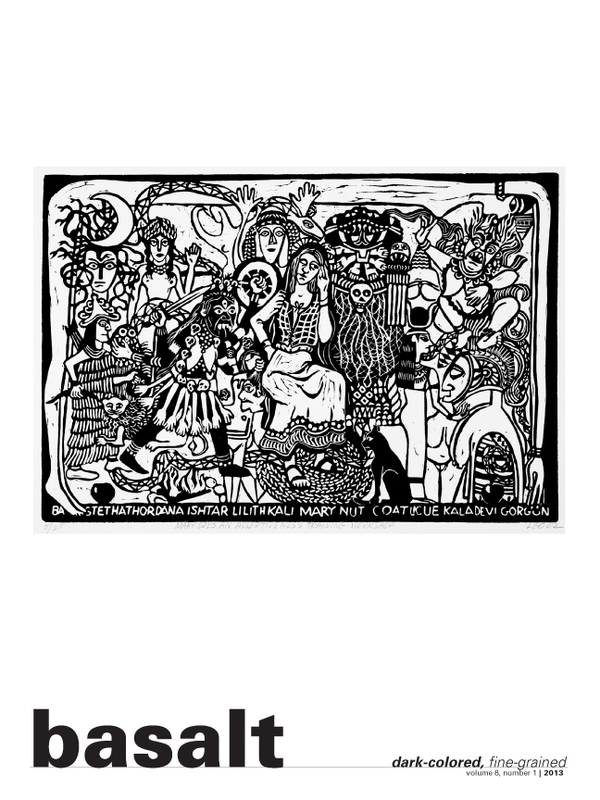 Volume 7, Number 1 also includes an essay by Robert Stubblefield, as well as a raucous portfolio of linocut prints of women from the Bible by the late Lorna Obermayr. As always, the fine art portfolio is accompanied by Ben Mitchell’s insightful essay about the artist and her work.